Hi, it's Cathy from The W.I.S.E. Owl. English Language Learners are more prevalent in classrooms across the United States than ever. Even in my suburban east coast town, we are seeing an influx of students where English is not the primary language spoken in the home. These situations have called for “new rules” when it comes to dealing with parents and families. I have had conferences with siblings interpreting for the parents. I have even given my private cell phone number to a parent to report absences when a typical procedure wasn’t understood. At times, it’s the most frustrating thing you’ll do. BUT, then there’s the break through moments when you couldn’t pay for the joy you feel. Let me tell you about Dachael (Dah-shell). One October morning Dachael came into my classroom 2 days after getting off the plane from Africa. She did not know English, but did know 7 letters of the alphabet. She was fascinated by hair and clothes and electronics. My kindergarten was a half-day program, but I can’t imagine how it is to sit in a classroom for three straight hours and not understand 95% of what is said. She would crawl up to other students on the carpet and stare at their faces or their clothes. She’d touch their hair. I had an honest talk with the class about her experiences and her limitations. They were genuinely eager to help her. During our guided reading time, she was obviously in her own group. We spent time working on letters and sound associations. I introduced sight words, letters and even new vocabulary all at one time. I made up silly sentences to teach these skills. 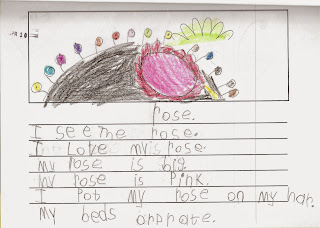 I used the poems to work with her to match words and pictures and to read and write sight word sentences. She enjoyed our reading time, so she wanted to meet with me. In addition, she worked on letter matching or sound matching skills with our teacher assistant. She inspired me to help her in new ways. As the days and weeks moved on Dachael became an active member of our classroom. When we would read letter poems in our group, I would make sure to call on her when I needed that letter or sound in our group lesson. She interacted more and more with her classmates. They wanted her to be successful and they’d cheer when she made a connection or answered correctly. They would call our attention to her successes before we could acknowledge them. She used the lessons in her writing, as well. There were times when I would forget she didn’t know English as well as the other students and I would be surprised when she would ask about a word or a meaning. She was making connections and using anchor charts. Students would want to do well, so they could help her. Her language and work exploded. 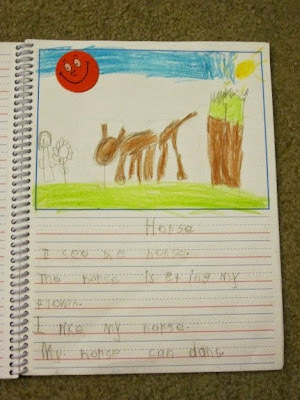 She was writing sentences in no time. As the journal below shows. “I see the horse. The horse is eting (eating) my flowir (flower). I like my horse. My horse can dans (dance). She used mostly word wall words, but the “-ing” in eating and the “ow” in flower were both anchor charts in the room. 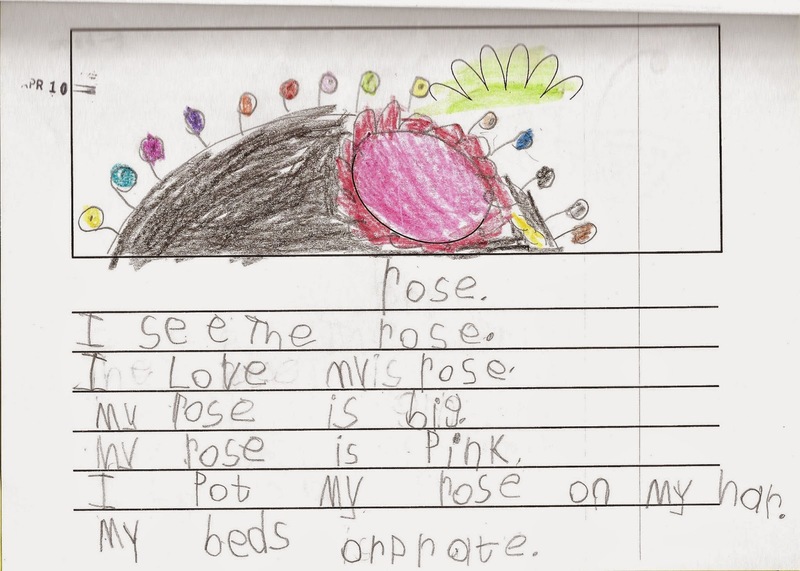 BUT my favorite writing sample was her squiggle. The picture is dated in April. Our routine for Squiggles is illustrate it, write it, color it. The squiggle on the page was the curved line at the bottom of the flower AND the bouncing line at the top. She wrote about the flower in her hair and her braids. This was a masterpiece. The perspective alone is amazing. This was the top of her head. I pot (put) my rose on my har (hair). My beds (beads) are prate (pretty). 1. Don’t give up. Talk, talk, talk. Even you realize you are the teacher in a Peanuts comic strip “wah-wah-wha-wha-wha” they need to her you talk. 2. Involve your students. They are the best teachers. As much as she was developing as a learner, she had a barrier with food. She didn’t know the food from our country. During parties throughout the year, I would offer her food and try to explain the taste to her: sweet like candy, salty like chips, chewy like gum. Most of the time, she would taste things and it would be fine. At the end of the year party I was trying to explain about chicken nuggets. What kid doesn’t like chicken nuggets? I explained it was crunchy on the outside, hot in the middle, and a little chewy…it’s hard to describe. She trusted me and tried it. After 3 or 4 chews, she grabbed my hand and spit the chewed up chicken nugget in my hand. “No,” she said. “I do not like this.” I knew I was important to her. She had treated me like her mother. Here's a FREEBIE anchor chart. I made my anchor charts with the students with markers and construction paper for my room, but these are quickies for you. Kindergarten Word Building...the Foundation That Never Fails! 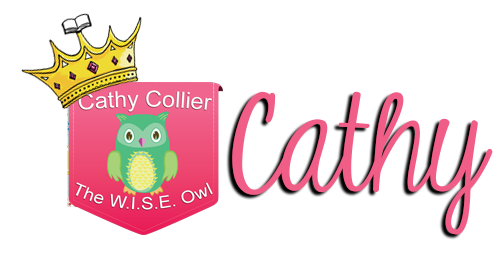 Hello, this is Cathy from The W.I.S.E Owl. As you know from my previous posts, I love Kindergarten. It's the best! There has been some request for some Kindergarten Word Building Ideas. I have 3 for you today. I'm not trying to start an argument, but I believe Kindergarten is the MOST IMPORTANT GRADE! Tools provided to the student in Kindergarten are invaluable. They are truly the foundation for all other skills to be built on. With this in mind, each lesson is important. Word Building is the culmination of letters and sounds and their relationship. Here are 3 ideas for word building that can be done in whole group, small group, and even independent learning centers. We use vowel posters in classroom with yellow backgrounds. 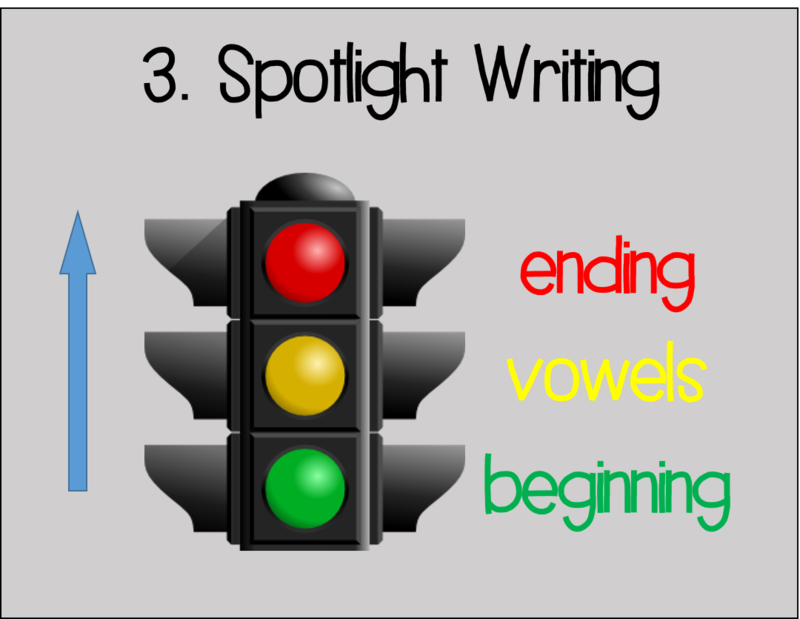 Not only is this visually easy for children to see, it will help with a future activity for word building (you'l see in number 3). 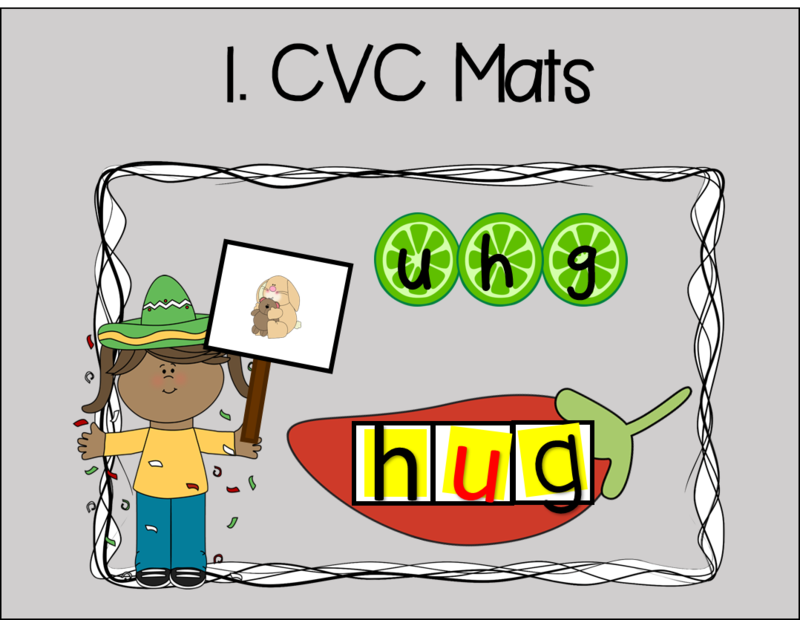 The first, and most supported activity is word building with CVC mats. These mats are designed to help the earliest learner. These seasonal cards have the CVC picture with the letters at the top of the card. Students need to rearrange the letters to spell the CVC words with magnet letters, letter tiles, or dry erase markers. The emphasis is practicing the order of the sounds: beginning, middle, and end. 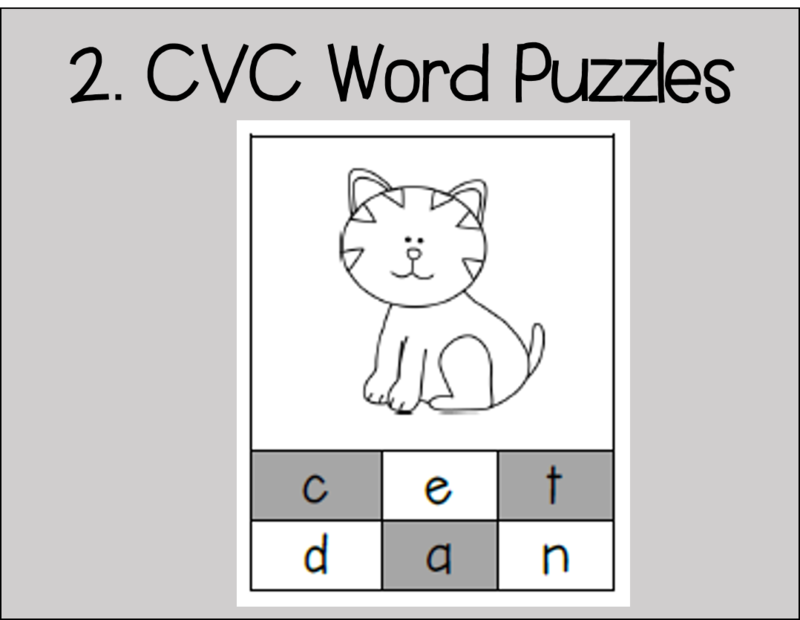 Another idea for word building, is practice with CVC word puzzles. This CVC activity supports the student with choice. The students are still asked to stretch the word and color the beginning, the middle, and the ending sounds. The colored boxes spell the picture. To create a clear connection to the classroom vowel posters, students are asked to color the vowel yellow. Finally, the last activity includes a stoplight. Students know about a stoplight. Ask any kindergartner, "What does a red light mean?" They will confidently tell you "STOP!" Using that background knowledge, teach them to build words. When stretching words, make sure you allow them to hear the beginning, middle, and end of the word. When writing the sound representations, they will write the beginning, middle, and end. BUT, the true value in Stoplight Writing is the yellow light. Just like we "slow down" for a yellow light, we need to "go slow" with our vowels. "We have to go slow...they can really trick us." Once we practice this in a whole group situation, it is put in a CVC center for independent practice. 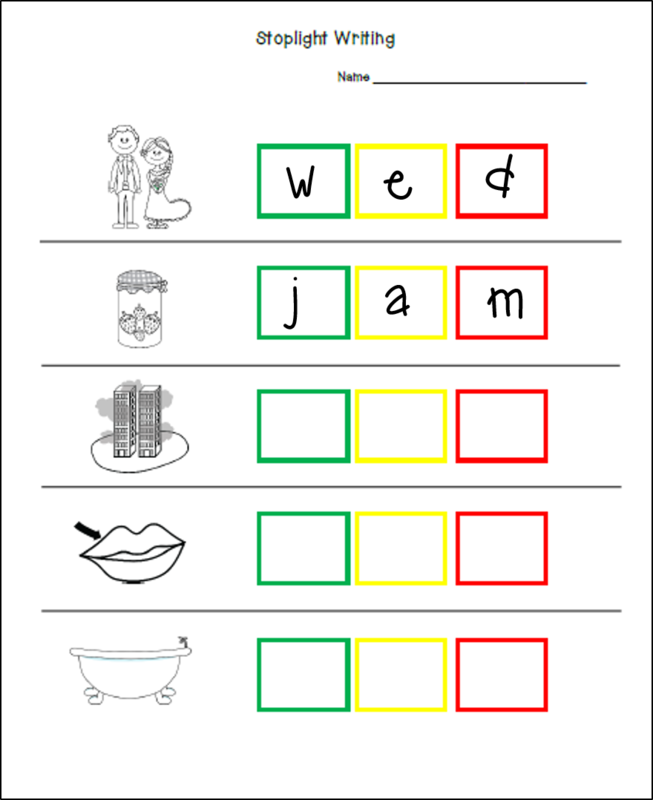 Stoplight Cards can be laminated or put in pockets to be used with dry erase markers or magnet letters for mastery. If you are interested in a FREEBIE of all 3 Word Building Activities, Click Here! If you would like FREE Vowel Poster Set, CLICK HERE! Hello Readers! 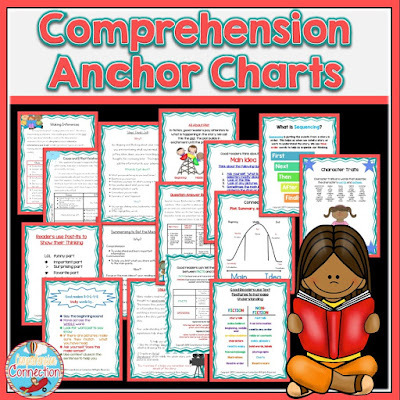 It's Carla from Comprehension Connection here with you today to share a little information on one of our favorite teaching tools, Anchor Charts. Many of us use them, but it is important to know what our literacy leaders recommend as best practices with using them. Anchor Charts have become a staple in many classrooms, and their use helps increase student engagement, provide visual cues/aids for instruction, serve as evidence of learning, and give students a frame for the learning during the lesson and after. The term anchor chart came about as these charts hold learning firmly in place. Just think about the purpose of an anchor for a moment. Without an anchor, boats move freely making it difficult to stay in one place. 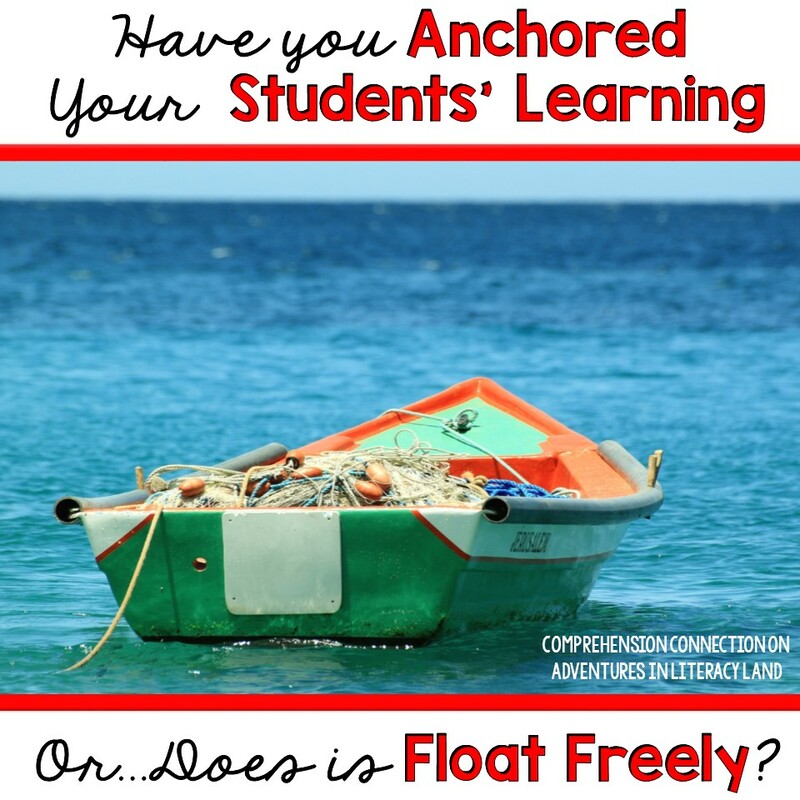 Like the anchor of a boat, anchor charts focus students on the important concepts of a lesson and keep it grounded. Not all anchor charts are equal though. Sure it's convenient to make charts ahead of time, but according to Wendy Seger at Cornerstone Literacy, anchor charts need the following features to be the most effective for students. First of all, the chart needs to focus on just one key point of a lesson. If your objective is broad, narrow the focus of the anchor chart in order to provide a concrete model for your students. If you have too many concepts on the chart, the student will lose focus. Break the objective down for your students to help them learn each subskill. As skill knowledge builds, students will be equipped to fully meet the broader objective. One goal with anchor charts is to increase student engagement and make learning come from the student. When students generate the information for the chart, they have a vested interest in the content. The information is evidence of their learning, and by showcasing their thinking, we are reinforcing that we value their thinking and their work. Plus, when they are displayed in the classroom, students can show them off to other school personnel, parent visitors, and their friends. Let's face it. We all love to have our work look polished and pretty. This may seem difficult to do when creating charts with students, but it is possible. 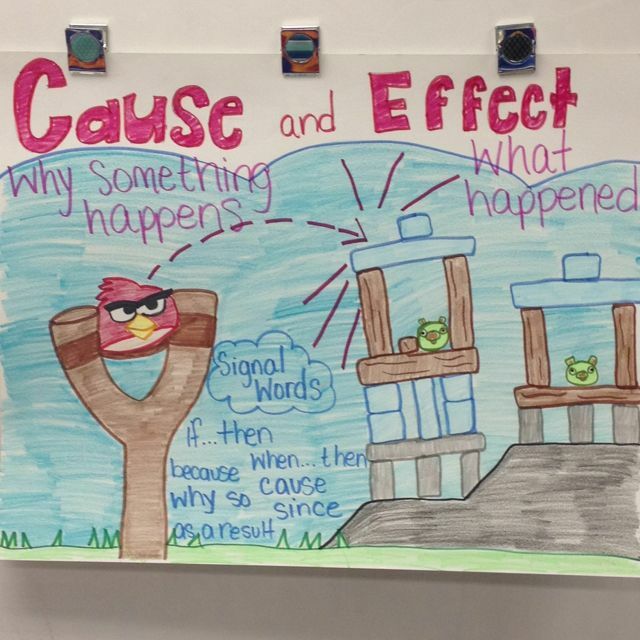 Teachers can certainly add borders and "pretty it up" before or after creating the chart with students. The more important point with organizing the information though is for student learning. By organizing the information, we are helping our students organize their thinking. One very effective teaching strategy is Think Aloud, and when we create charts with our students, we can use this strategy AND help our students categorize the information more easily through the anchor chart. Just like we match our objectives to the needs of our students, our anchor charts need to fit the developmental stage of our readers too. When you think about skills such as main idea, it's important to keep the language at the level of the reader. We should use their language to make the chart. Using leading questions to guide the discussion will help elicit student responses you can record. 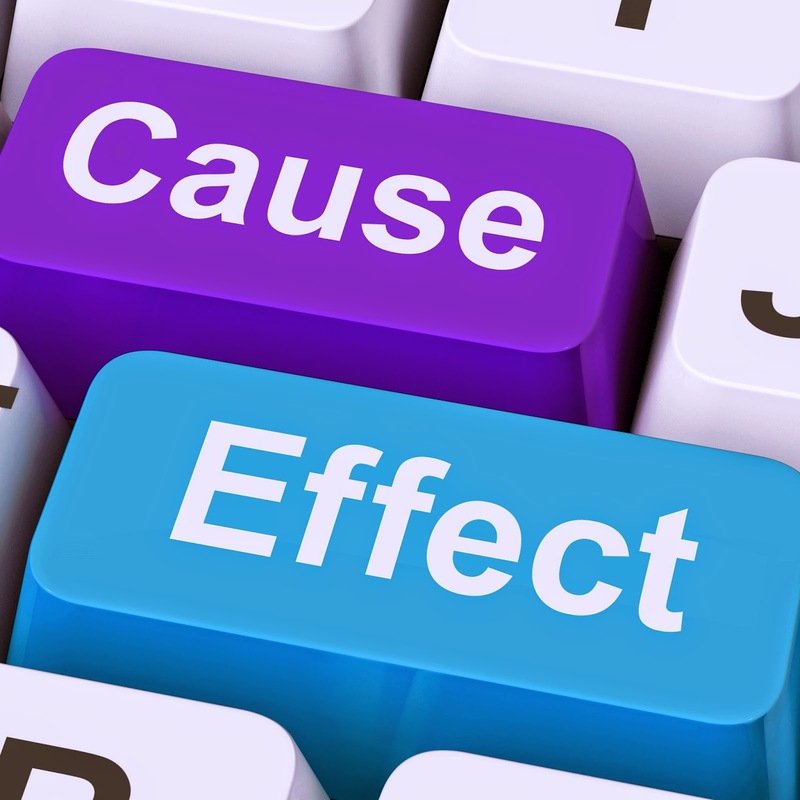 When there are misconceptions, we see it through the responses and can clarify errors. One added benefit to questioning is that it allows the kids to talk. They are social little beings and enjoy giving their opinions for sure! As students learn new skills, anchor charts from prior lessons can provide students with the background information and skills they need for the new content. Many students need multiple exposures in order to master a skill. Having your anchor charts to refer to during remediation or for work stations can give students that extra reminder they may need in order to master the content. 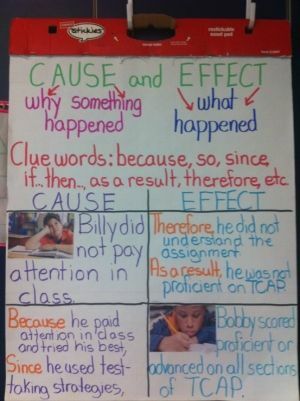 As we know, anchor charts can be very, very helpful to students. They can be made on chart paper or electronically, and with new applications being added all the time, students even have the ability to compose anchor charts with teammates in cooperative groups through programs like Popplet, the Notes App on the I-Pad, or for longer notes, students can use the Page App. Anchor charts can also be photographed and kept in a photo gallery for times that students need the information, but it's hard to see or put away. For my groups, I enjoy using these printable charts for reference after we've made one as a class. Here is my board for anchor charts on Pinterest. I love that they stimulate discussion as the charts are made, but also provide cues for deeper thinking after. This board is always growing, so follow along if you love anchor charts too. I don't know about you, but I am always on the look out for new and clever ways to present information to my students. If you have favorite anchor charts you'd like to share, we'd love to see them. Feel free to post them in your comments or share a pin address with us. Have a great week, and until next time...happy reading!